Welcome to NeoTech19. JC and I are glad to be here again presenting. Today we will be talking about our version of HyperQuests and student engagement. Please feel free to contact anytime. Have a great conference. InsertLearning: I think I am going to like this. 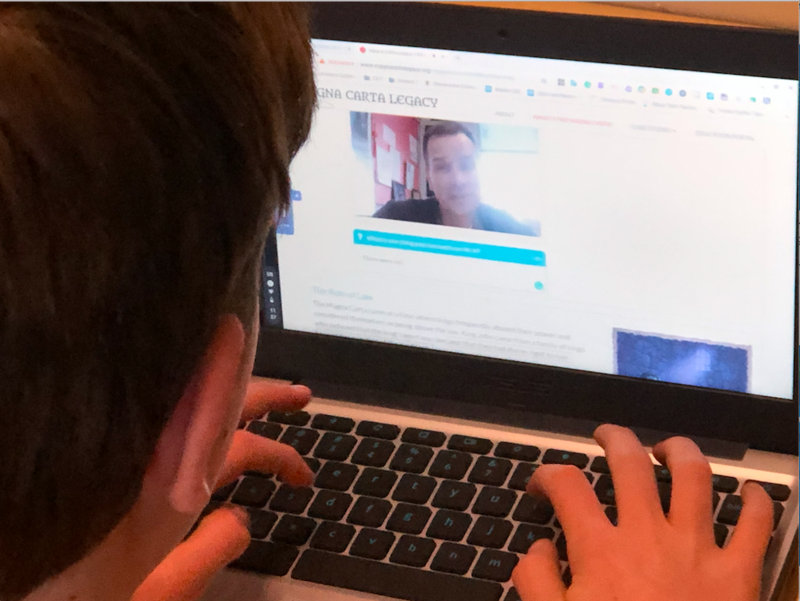 InsertLearning is a chrome extension that most teachers who are using the internet as a teaching tool should be aware of and give it a shot in their classroom. In general, Insertlearning allows you "Insert" learning tasks into any webpage, even published google docs. 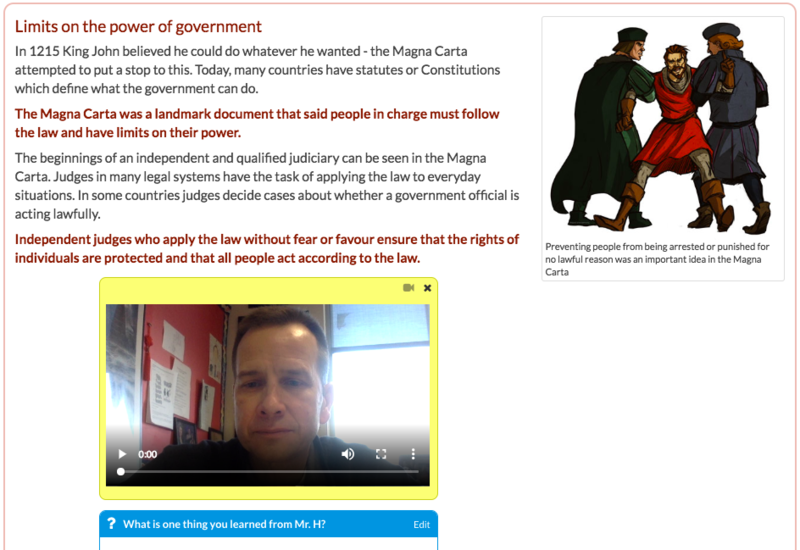 We used the following website on the Magna Carta build our assignment. I have to give a shout out to my #holmanclass. We talked about this over the weekend during class and then my student teacher mentioned it Monday, who is going to be looking for a job:). So, we gave it a try...Very glad we did. The image to the left is the webpage. The image to the right is what kids see when they enter the page with a link I provide. I was able to insert highlights, define words, and ask self correcting questions directly in the text. 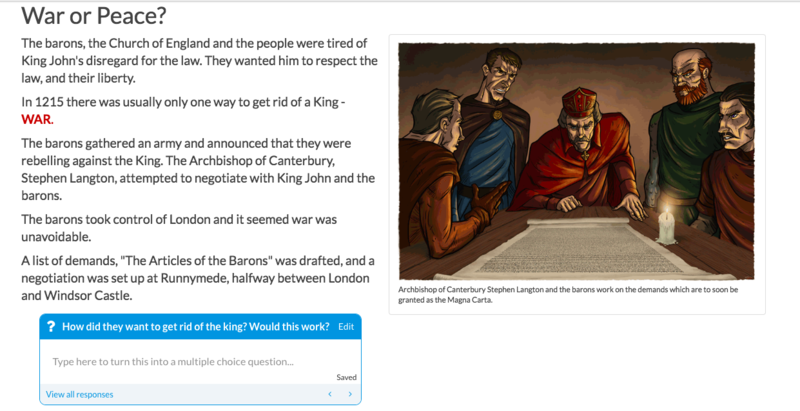 Below you see an added short answer box for students to explain the central idea in the reading. Below you see my personal favorite, the ability to add a video of me directly explaining an idea the is complex and allowing students to tell me what they learned from the short video and reading. 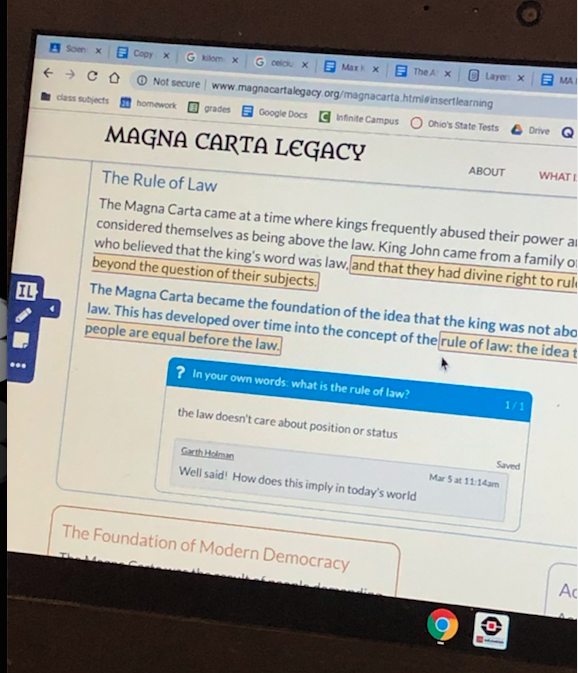 Tomorrow student will "receive" the feedback from me and student will use this knowledge to build projects on the Magna Carta. I will post more about what the Insertlearning in the next few weeks. Right now I am impressed, but I am always interested in what the Student's think, they will fill out a google form tomorrow and I will post their reactions. Below is a photo gallery of other images from and feature of Insertlearning. Just going to leave this here for a while:) Really is made for VR, not a computer. Wikispaces are gone... What will replace it? As the title suggests we are in the process of testing out a few software options that we can use to house our next digital textbook. 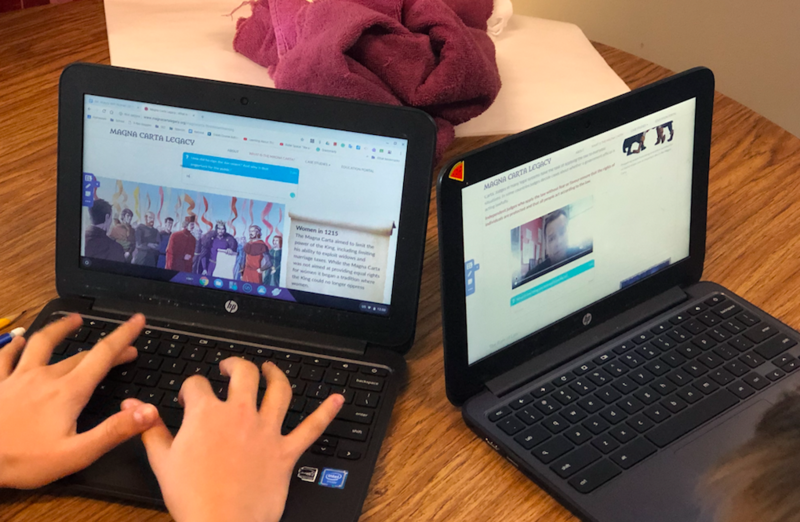 If you want to view the student book created in wikispaces you can still access it by going through the "Way Back Machine" or click on the link here. With both Garth and I (Travis) working in districts that use google services we thought we should try a few google products to see if they would be a good fit. The first google product we decided to try was Google Sites and though it wasn't perfect it did work. Below are a list of pros and cons on using Google Sites. If we think of other pros or cons we will add them to this list. If you have comments or questions please let us know. Welcome to NEOTIE2018! 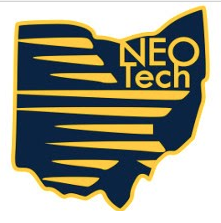 Many of Northeast Ohio's finest educators will be gathering at Beachwood High School for a Saturday full of technological professional development. J. C. Lenk will be presenting: FlipGrid: Video Responses and Formative Assessment for All. 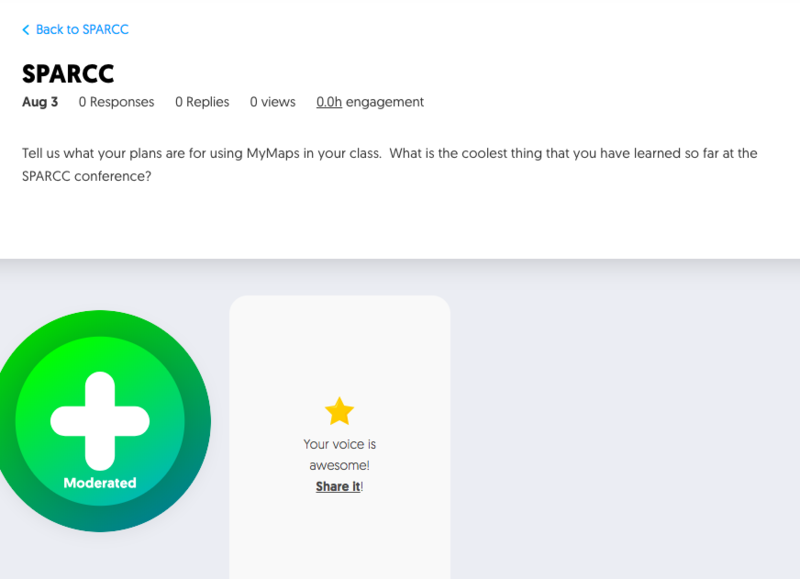 FlipGrid is a very fast growing, FREE tool that allows students to record their thoughts and/or answers about any topic that you choose. Once you view this presentation, you will be able to set up your own "Grids" in under two minutes. 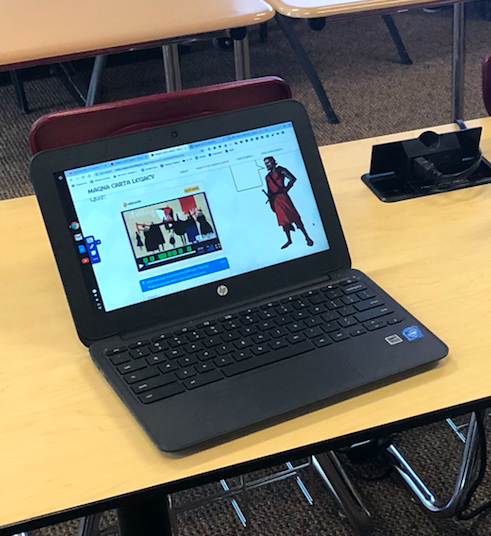 In this session, attendees will get to be the student to see how FlipGrid works, and then brainstorm with each other on how to use this great tool in their classes before building their own FlipGrid that they can use next week in class. For those not able to attend the session, the presentation below will be enough to get you and your students started using FlipGrid. 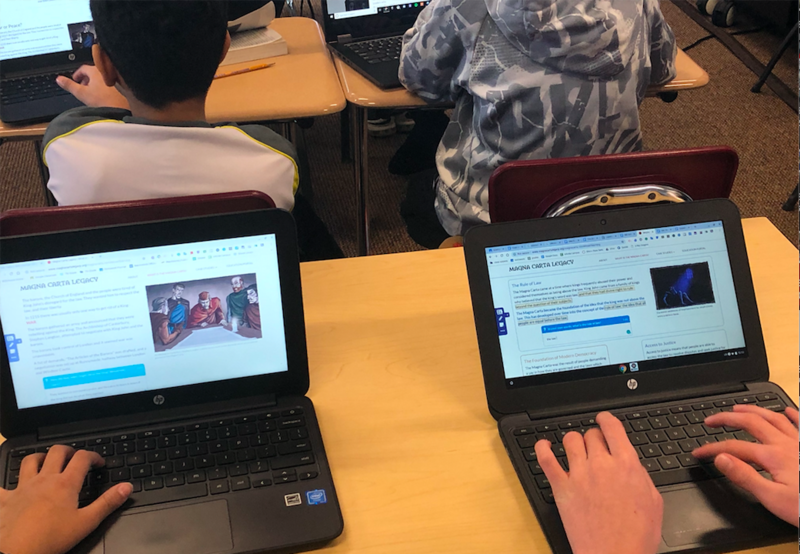 For those of you viewing this, click on this FlipGrid to give us a hand in introducing Human Rights to our 6th and 7th grade student. Just share with us What Human Rights means to you. There are no wrong answers. See my post from 8/3/2018. Hope to see all of you at NEOTIE! This is a random, quick post as I think about how I got to this point. A stream of conscious and no real editing---just memories and thoughts. 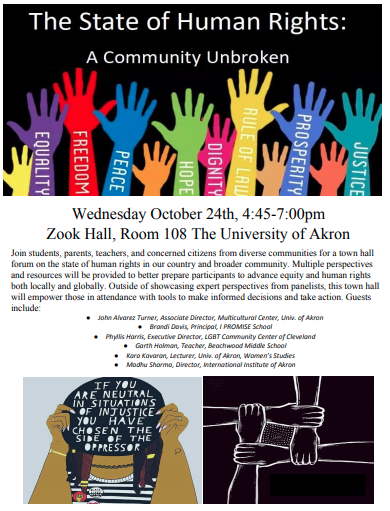 I was very excited to be asked to be a panelist at the University of Akron town hall meeting on Human Rights. I am no expert on the topic, but have always had strong feeling on social justice and inequality in society. It started when I was young. I will pick up the story in 8th grade. My parents were divorced, my dad moved to Mississippi and I was a living with my Mom and brother in Elbridge, NY. (On a side note, Elbridge, NY was a white area. Period.) I went to spend my summer at Dad's. I was not looking forward to this trip. However, something that changed my life happened that summer. A few days after being in Vicksburg Mississippi, I made my way down to the basketball courts at his apartment. I stood along the side of the court in the hot mid-day sun, just hoping to be picked. This young black kids said, "I will take the fat white kid." That was me. That is not what was life changing, but I guess I remember it. After the game, I was not good, that young guy and I started to talk. His name was Heath Walls. He was a year younger, but strong and more athletic then me. Over the course of the summer, he and I became best of friends--over the long term, we became brother. After I headed back to NY, we did not lose touch. Every week, he went to my dad's apartment on Sunday night at 7 to call me in NY--Every Sunday. Moving forward, every summer I would spend weeks in Mississippi. Every minute I was awake was spent with Heath. We were not separated. As I graduated, in 1989, Heath made the trip to NY to see the event (returned the trip to Murray, KY-He had moved without his father and brothers to get a better education in mid 80's living with his grandmother--in 1990 to see him graduate from HS). He followed me (or I begged him--depends on which one you ask) to the University of Dayton, but his dream of that degree ended on a park bench outside of St. Mary's Hall, we both began to cry as he was unable to afford any more time at UD. He had to drop out. A part of me left UD two weeks later, as I drove Heath the six hours back to Murray. I spent 3/4 of my life thinking about the ways Heath and I had different opportunities in life. I thought about justice, fairness, inequality and racism. In fact, I took classes on history, social inequality, and politics As I got my first job, I read the book "You can't remain neutral on a moving train." By Howard Zinn that explained how inaction sides with the oppressor. Looking back, have I lived that? Have I spoke out? Have I acted to protect others? Or Have I stayed Neutral? The answers are unclear at this point...time will tell. #Sparcc18 Talking about using My Maps to visually archive your class. Welcome to #Sparcc18! It is a pleasure to here again and share ideas with awesome teachers from around Ohio. Today JC Lenk, the 6th Grade SS teacher at Beachwood Middle School, is here for the first time. We will be presenting a constructivist approach to learning, using free software called My Maps. It allows students to build a personal visual of the material being learned. 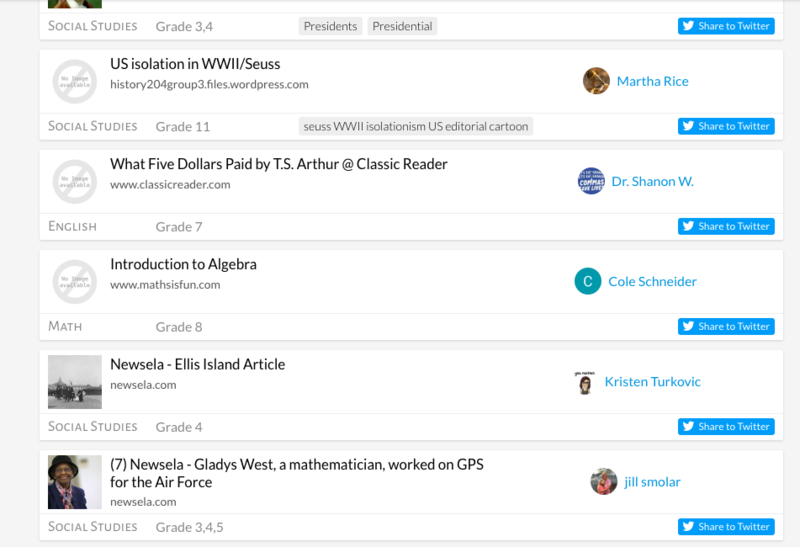 We are social studies teachers, but we believe most teachers can find a way to use this software. We will be brainstorming ideas as a large group to help us see how others can use this in a variety of classes. 3. Build your own my maps. Add your voice for student's to hear at the start of school! On another note, JC and I are also using the theme of Human Rights this year in our classrooms. We are looking for adults to share their ideas on what Human Rights mean to them on #flipgrid to have students listen to others outside their community share ideas. Please, ​Click here and share your ideas! And Thank you. Check out other projects are students are doing! Built on Thinglink! #Wikispaces says goodbye:( A sad day for "Students History"
In 2008, Mike and I started a student created online textbook. It was to build over the next 10 years. Alan November interviewed us about the student created book in 2010, talked about it as an example of student ownership in a TED talk in 2011. Wikispaces interviewed me several times in 2014 and invited me to conference is Scottsdale, Az to speak about the book. Matt Miller interviewed me for #ditchthebook in 2016. I could go on, but you get the picture. It was cool and something new. So I was sad to see wikispaces shutting down shop in July. What I did the last 20 minutes of my 27 year of teaching was record the following video of me reviewing and looking over the book. I wanted a visual of what it was, so that we can move forward and rebuild under some new formate. I am open to ideas? Leave your thoughts below. Have a good day, but more importantly keep building. GET YOUR Welcome to NeoTech 2018! It is a pleasure to here again and share ideas with awesome teachers from around NorthEast, Ohio. Today JC Lenk, the 6th Grade SS teacher at Beachwood Middle School, is here for the first time. 2. 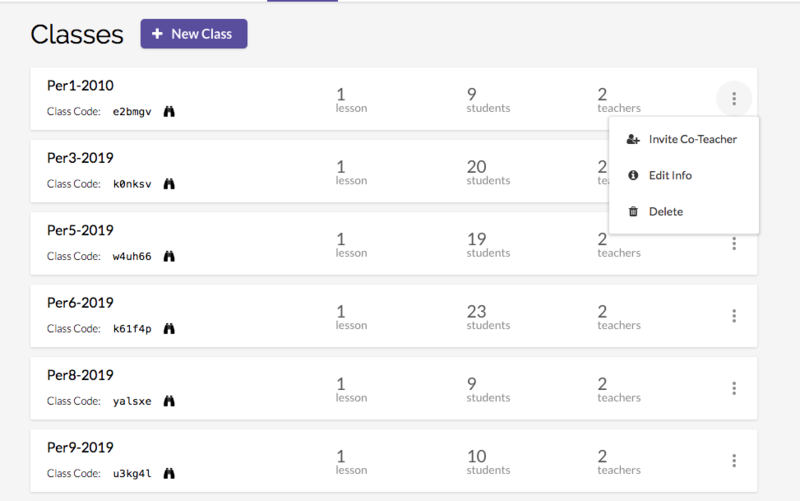 2018 Ramping up your formative assessment: This will be done in PearDeck! Click here to join. Check out this google doc to see more Formative Assessment websites/softwares. #sparcc18 calls for presentations is open until May 4, 2018! Eric Curts, a google master jedi, runs a free conference in August in the Canton area dealing with technology in the classroom. I had the pleasure to keynote the first Sparcc conference and I have presented every year of the conference since. It usually has around 500 teachers and 50 presentations in the one day formate. If you are interested in presenting you can apply on the page above. Proposals are accepted until May 4th, 2018. Hope to see you at Stark State in August.